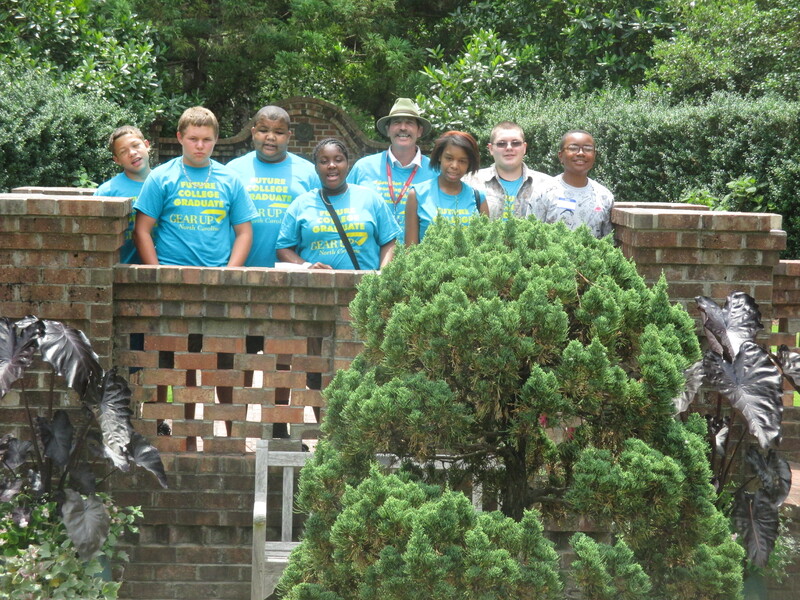 The GEAR UP (Gaining Early Awareness and Readiness for Undergraduate Programs) and CTE (Career Technical Education) partnered together to provide a free summer camp for over 50 rising 7th, 8th, and 9th grade students in Scotland County during June 23-26, 2014. The camp was held at Scotland High School from June 23-26. 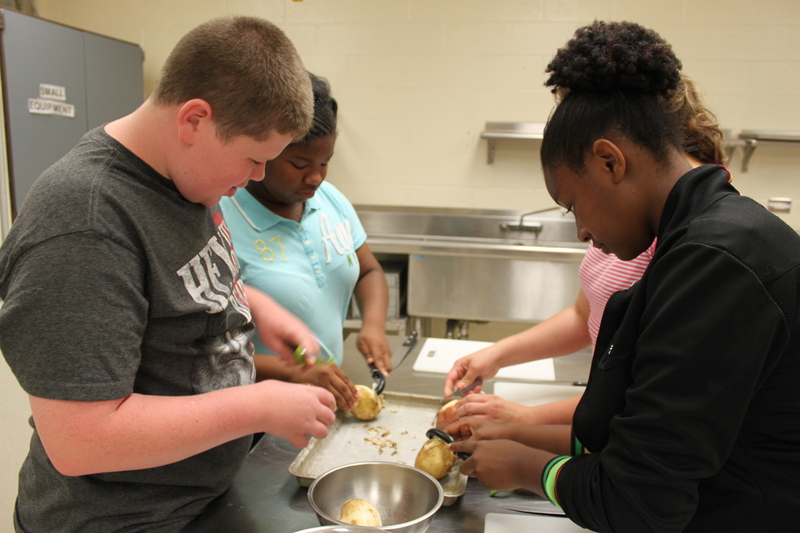 The student’s had a great time harvesting potatoes in agriculture and making stir-fry in culinary arts. Additional CTE cluster areas included Business & Marketing and Health Science. 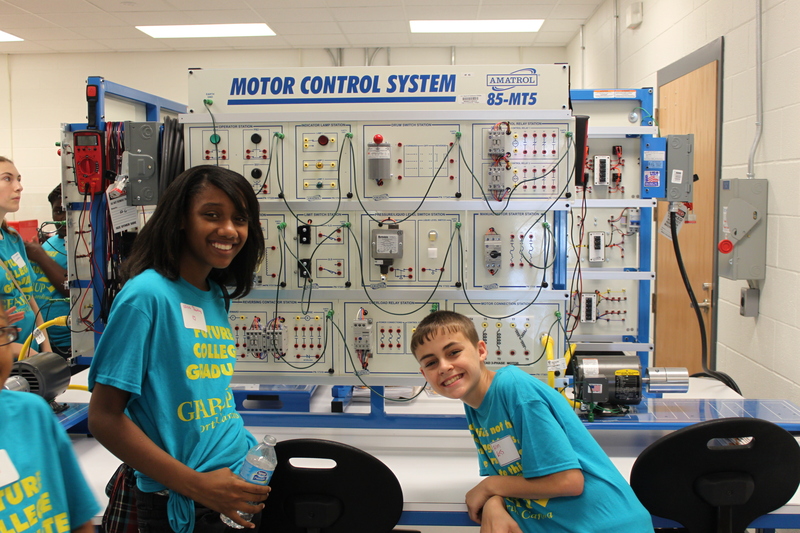 The best part of the camp was “having a chance to be in a CTE class that I was actually interested in a career with”, by one of the camp goers. The students were placed into groups and rotated between sessions where they met new people and made new friends. The students also participated in team building games in small groups with GEAR UP which prepare them to work with their peers. The student’s made college brochures to learn about what schools they might want to attend in the future with great academic teachers. The camp also took the students to tour Sandhills Community College and Richmond Community College which was amazing and gave them the real life idea about college. 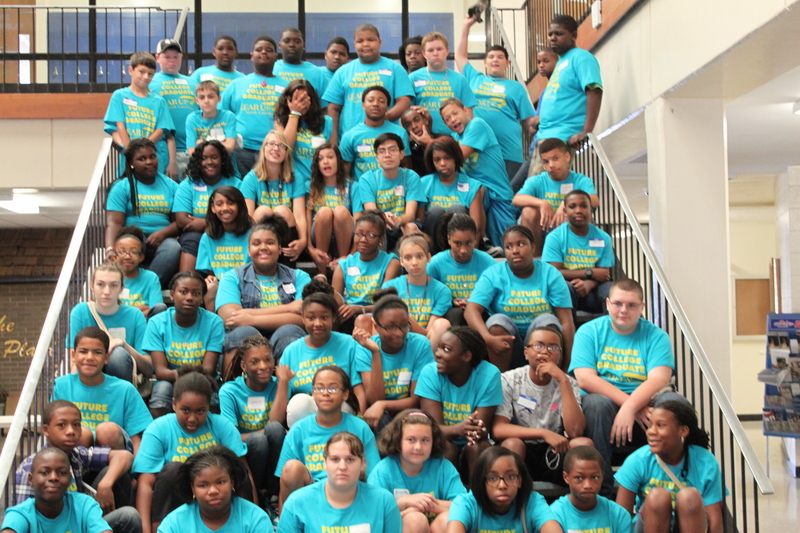 The first GEAR UP & CTE summer camp was a great success. A second session of the camp is scheduled for August 4-8th. Gear Up/CTE Cluster Camp will feature Culinary Arts & Hospitality, Business & Marketing, Health Science, and Trades and Industry. The program is free to all students who participate and GEAR UP & CTE are excited to expand and grow the camp in years to come.